bebop spoken here: Jazz in the Afternoon at Cullercoats by the Sea. Iain MacAulay (tmb/tpt/vcl), Derek Fleck (clt/ten/whistle/bjo), Brian Chester (pno/tmb), Bill College (bs), Jim McKeown (dms). 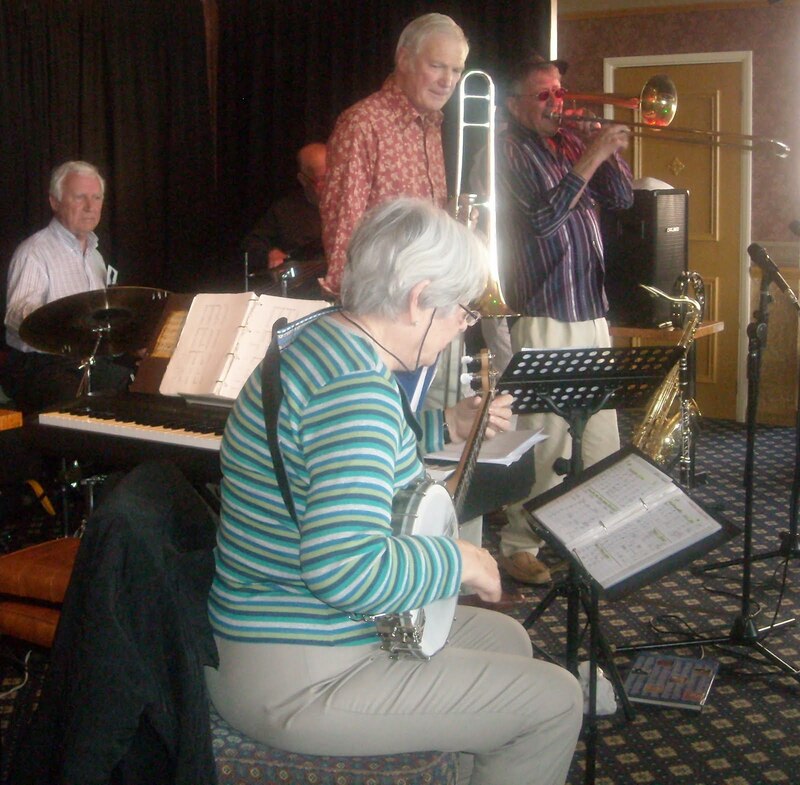 + Jimmy Ruddick (vcl), Barry Soulsby (clt/vcl), Roy Gibson (pno), Teresa Armstrong (vcl), Doris Fenn (bjo). The usual jolly jazz from JITA with a few new additions to the rep. When I Take My Sugar To Tea, When Somebody Thinks You're Wonderful being a couple from the first set. After drawing the winning raffle ticket (for Miles Watson) I enjoyed listening to Teresa doing nice things to Cry Me A River and Once in a While. Running Wild had two trombones and two banjos whilst My Gal Sal featured two clarinets. Jimmy Ruddick sang Doctor Jazz and a good time was had by all.